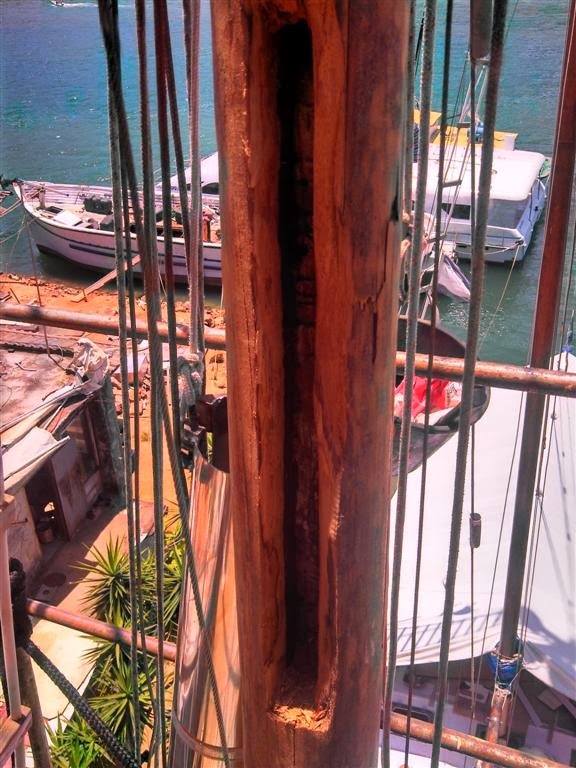 repair on the mast of the schooner, will withstand? The end result looks great. 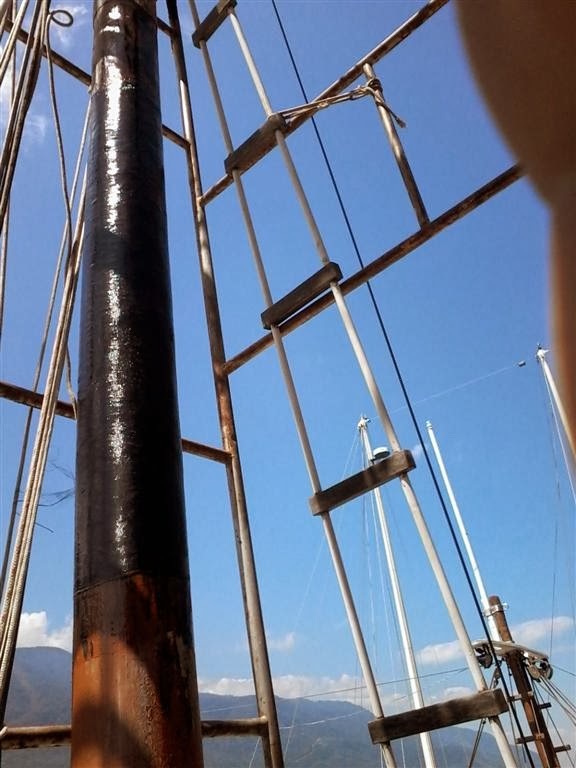 Having absolutely no knowledge or experience with that type of job on a mast I can only think I would probably have done the same kind of thing, and cross my fingers. It was still standing with the rot under the stainless until it failed, now the rot has gone and all is solid and wrapped in carbon fibre, to my simple mind it's gotta be better. One question, how did you manage to get the epoxy all the way to the end of the cracks visible in the first photo?